Installation of an engineered cofferdam at Box Canyon faced many hurdles including record low and high temperatures and water levels. Despite the many hurdles, the structure was successfully installed without incident by the skilled efforts of the PPM crew. If you look hard, you can just make out the cofferdam. All of our hard work is now underwater and likely will be for some time. 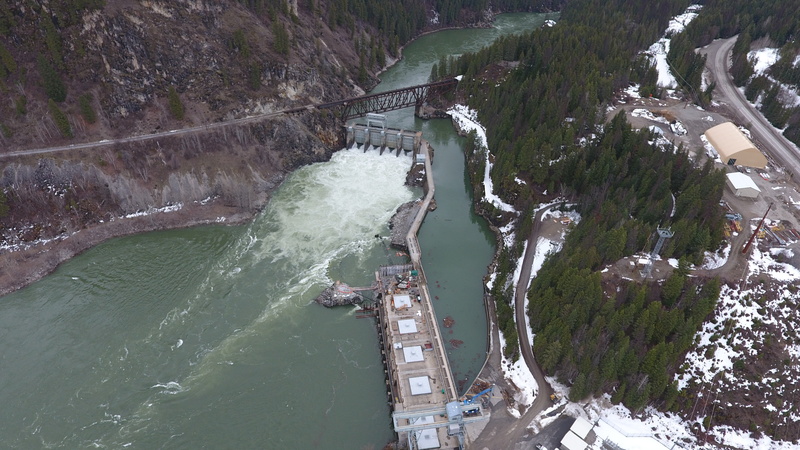 The typical spring runoff came two months early at a historically-high level.